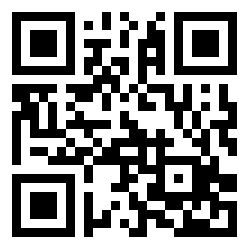 You may have noticed the sudden explosion of some little things called Quick Response (QR) codes. These bar codes are little boxes of black and white pixels and they have been popping up all over the place; in advertising, television programs and in print. They work by downloading a piece of software onto your smart phone (through an app) and by using the in-built camera to scan the QR code. The smart phone then automatically takes you to the web page that has been programmed to be used with that particular QR code. It can be linked to anything – video’s, Mp3’s, Facebook groups – whatever you like that has a URL. So how might this be useful for use in printed media? Well it means that the 2D printed page can be transformed into a electronic resource that brings up content. For instance in an English Language Teaching text book you could have a QR code on the page next to a reading exercise. The student can scan the code and then be taken straight to a video or sound clip that references the exercise. However, as a design led studio this isn’t enough for us as the QR codes, as brilliant as they are, don’t look that pretty. That’s why we love this article we found on Mashable and we will be creating our own designs soon. If you’d like to create your own QR code for your website, video’s or blogs then have a look at these QR generating software programs. All you then need to do is get creative in Photoshop to make them look great!